Humbers announced their intention to set up an aviation department in September 1909 to produce fifty aeroplanes at ?400 each; this number was not built and by 1912 aircraft manufacture had been discontinued. From early 1910, hangars Nos.4 and 5 were rented at Brooklands for flying operations. 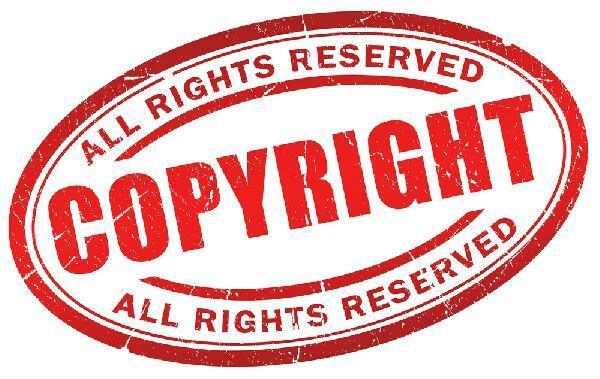 This well established motor company made, as its first product, a monoplane resembling a Bleriot in its general layout, although any connection was denied by the company in the Press. There were differences in detail and the machines were fitted with Humber's own design of three-cylinder engine. 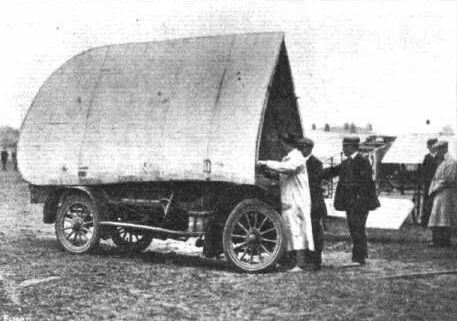 The early tests of Humber monoplanes took place at Cannes in the south of France from 5 January 1910, whence the first two machines had been taken to obtain good flying weather in winter. They were flown by Capt. Dawes and J.V Neale. 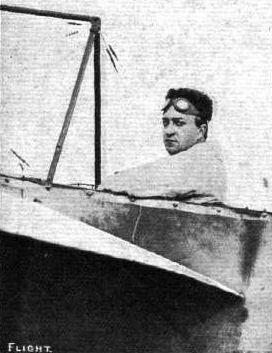 Dawes took the machines on to Egypt, where one was flown at the Heliopolis Meeting by Frenchman, Le Blon, who gained third place in prize money earnings. In early April Le Blon died in an accident when flying a Bleriot at St. Sebastian in Spain. Two machines were later at Brooklands, but only began trials in May in the hands of novice pilot G.A. 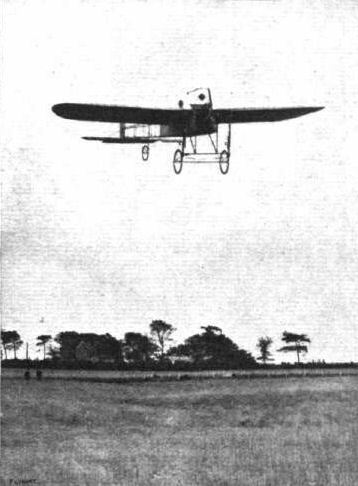 Barnes, with the first public flight taking place on 28 May 1910. The machine was wrecked on 18 June 1910, but Barnes continued on a second machine and took his certificate soon after, later flying at various meetings, including Wolverhampton and Bournemouth. A fuselage with a 50hp. engine was also shown at Olympia in March 1910. 30hp Humber three-cylinder air-cooled, fan-type semiradial. 50hp Humber four-cylinder inline, water-cooled as in the Lovelace type. The Humber Monoplane was a British-built version of the Bleriot XI produced during 1910 by Humber Ltd., at Coventry. The machine was a single-seater, and was powered by the three-cylinder 30 h.p. Humber semi-radial engine. It was flown successfully by several notable British pilots of the period, including G. A. Barnes, who gained his Royal Aero Club Aviator's Certificate No. 16 with a Humber Monoplane on 21st June, 1910, at Brooklands. "The ground here is no better than Brooklands, plenty of ditches and soft boggy ground. The track, a racecourse, is rough, and on the whole not suitable for beginners. "Mr. Neale last Wednesday made his first attempt here, and after a short flight, in trying to turn rallied too sharply. The machine went at a dangerous angle, he righted it, and brought it to ground seemingly on the track, but it proved to be soft ground. The wheels dug in up to the hub, and the machine went forward, breaking supports, but not propeller. This is the serious accident reported generally as "fell from a height of 16 ft." After three days spent in repairs, spares not having arrived, he flew about a quarter of a mile quite successfully. "Captain Dawes was not in any way injured, and has only had so far one accident. The reason for coming here was to complete his training on a good ground, but the only advantages are the quiet days, with no wind." As readers of FLIGHT are already aware, considerable progress has been made by the Humber Company in the development of the new aeronautic department of their huge factory at Coventry. 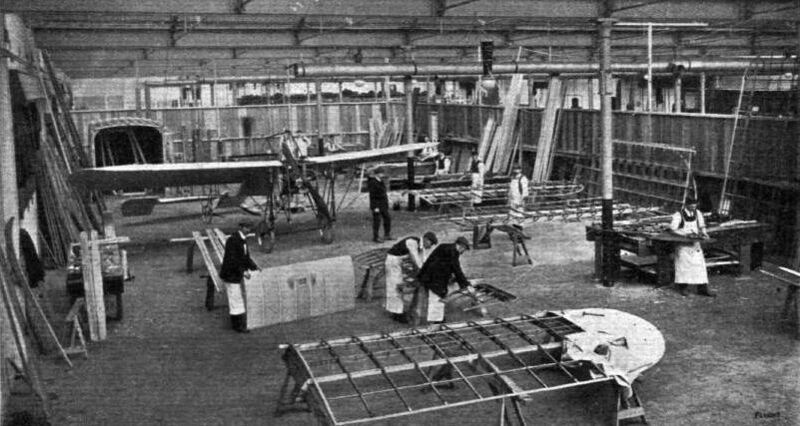 Their intention is to build biplanes as well as monoplanes, and indeed their present catalogue includes full particulars concerning both these first standard models; but chiefly the shops are now busily engaged in the output of the latter, and of special engines for aeroplane propulsion, as may be gathered from the accompanying photograph taken by us last week in one of the erecting shops. A good idea can be obtained from this illustration of the very thorough manner in which the work of manufacture is being conducted by the Company, particularly when it is realised that this is but one of the numerous shops engaged in aeroplane construction, and that every part is built upon the premises. Therein may be observed a monoplane complete except for its finishing touches, while the various men are busy with, main planes, elevators and propellers for similar machines. Other shops at the time of our visit were in full swing building large numbers of the wooden propellers, while we found quite a considerable amount of interest centering around the triple-cylinder Humber engines that have been specially designed for the work of propulsion. These 3-cylinder engines are of the radial type, with a bore and stroke of 180 mm. and 135 mm. respectively, their normal output being 30-h.p., with a total weight of 155 lbs., including magneto. The Company also build a 4-cylinder model of 50-h.p., the total weight of which is 190 lbs. ; and this engine, the bore and stroke of which are 110 mm. and 120 mm., has copper water-jackets to each individual cylinder. Apart from these flyers and engines, a special Humber radiator has been produced; but this is only one of the many other details to which we hope to refer at considerably greater length within the next few weeks. For the moment it must suffice to draw attention to the remarkable progress that has been made within a comparatively short time. Humber monoplane of Bleriot-type was flown in France and Egypt in 1910. Mr. George Barnes, on a Humber monoplane, flying last week at Brooklands close over Mr. Claude Grahame-White's Henry Farman machine. Mr. A. G. Barnes in flight at Folkestone Meeting ten seconds before his accident last week. 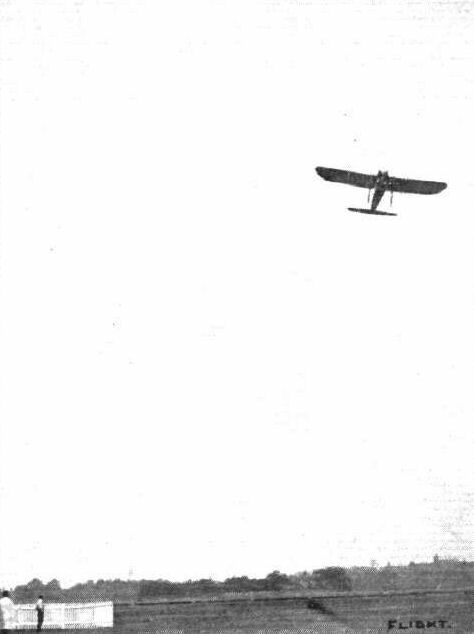 M. Pequet in practice flight at Brooklands on the Humber monoplane. STOPPING A MONOPLANE AFTER FLIGHT. - G. A. Barnes bringing his Humber to rest after being in the air. AVIATION IN INDIA. - Mr. Keith Davies with his Humber monoplane under "inspection" by the elephants. 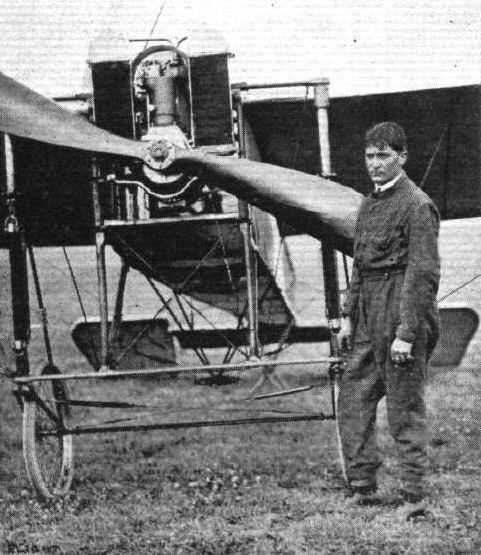 Above, Mr. Davies is standing in front of his 3-cyl. Humber-engined monoplane. How Mr. Barnes packs up the wings of his Humber monoplane on a Humber car for transporting from place to place - a reminiscence of Bournemouth. 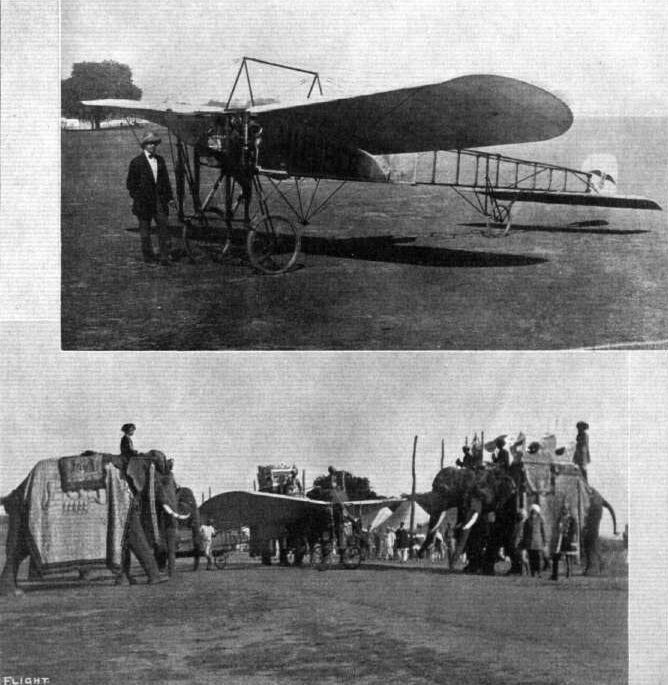 The two first British-built Humber-Bleriot monoplanes at Cannes, where Mr. Ballin Hinde took them with the intention of proceeding on to the Heliopolis Aviation Meeting opening next week. M. Pequet and the Humber monoplane he flies at Brooklands. THE FLYING MEN AT BOURNEMOUTH AND THEIR "MOUNTS." - G. A. Barnes (Humber). AFTER THE TUMBLE. - Mr. Barnes' monoplane upon its back at Folkestone after his bad fall last week.